New to the western hemisphere, LS Tractors needed a campaign that focused on their 5-year warranty program to build confidence in buyers that they have been around and plan to back their tractors with the longest warranty in the industry. This ad campaign utilizes a professionally photographed image of an LS Tractor as the focal point of the ad to draw in the eye of the consumer. Typography is understated, yet informative, and it doesn’t take away from the colors and imagery of the ad. 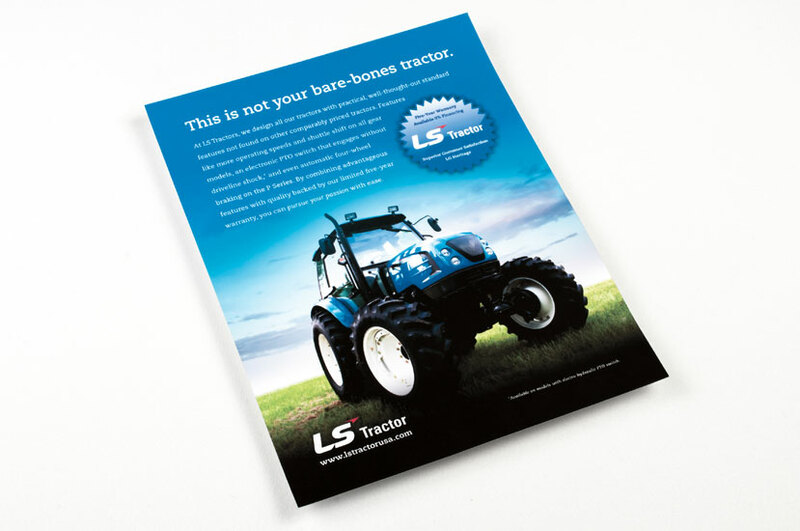 For a new competitor on the market, this LS Tractor ad had to stand out and catch the attention of those looking for the highest-quality product.